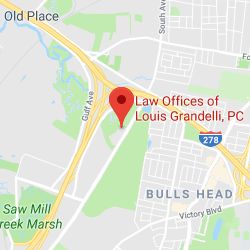 Motorcycle Accident Settlements | Law Offices of Louis Grandelli, P.C. Every year there are numerous accidents between motorcycles and cars that result in serious injury or death. The operator of a motorcycle is more vulnerable to sustaining a serious injury or being killed then those within a automobile for a variety of reasons. First, it is obvious that the body of a motorcyclist is not protected in the same manner as the occupant of a car. In addition, the operator of a motorcycle simply does not have as much control or stability as the driver of a car since motorcycles only have 2 wheels. Moreover, the operator of a motorcycle may also be affected by defects in the roadway, such as potholes, debris in the roadway or poor highway design, which may prevent them from gaining control over the motorcycle after it has been hit by a car. Unfortunately, the public, and potential jurors, may hold a bias against the operators of a motorcycle and believe that the motorcyclist, or their passenger, “assumed the risk” of getting into an accident. 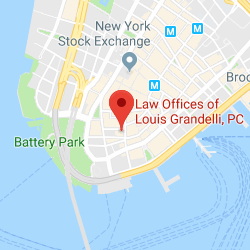 At Law Offices of Louis Grandelli, P.C., we have demonstrated on numerous occasions that motorcycles can be operated just as safely as cars, and the fact that someone was operating a motorcycle does not mean they were assuming the risk of injury. Indeed, our firm has successfully handled dozens of motorcycle accident settlements where an innocent motorcyclist was seriously injured, or killed, by a negligent driver. 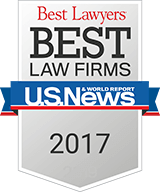 Most recently, our office obtained a $16 Million damages verdict for a Brooklyn man who was struck by a motor vehicle while riding his motorcycle. We are also proud to say that we have established a precedent setting case on behalf of the family of a motorcyclist who was killed in a motorcycle accident when a car that was heading in the opposite direction, improperly made a left hand turn in front of the motorcyclist. After obtaining a precedent setting decision from the New York State Appellate Division, the case went to trial, and after we called numerous witnesses to testify and establish the wrongdoers fault, we were able to negotiate a motorcycle accident settlement significantly higher than the insurance carriers initial offer. 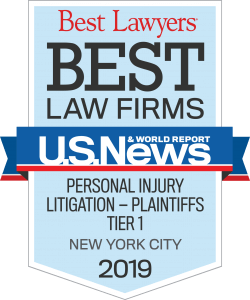 If you have been injured while operating a motorcycle, or as a passenger, it is very important to note that the New York No-Fault law does not apply to motorcyclists, unless the motorcycle’s owner procures special coverage from the No-Fault insurance carrier. However, since the New York No-Fault law usually does not apply to most motorcycle accident settlements, it is not necessary for a motorcyclist or a passenger to prove a “serious injury” under the New York State No-Fault insurance law in order to be compensated for their pain and suffering, and other damages that would normally fall under the “serious injury” threshold requirements of the New York No-Fault law. Further, even though the motorcyclist may not have had No-Fault coverage to cover their claims, often times the motorcycle will have No-Fault coverage for a pedestrian struck by a motorcycle who needs to have their medical expenses and lost wages covered by the No-Fault insurance carrier. If you or a loved one has been injured in a motorcycle accident, contact us. We will give your case the individual attention it deserves.